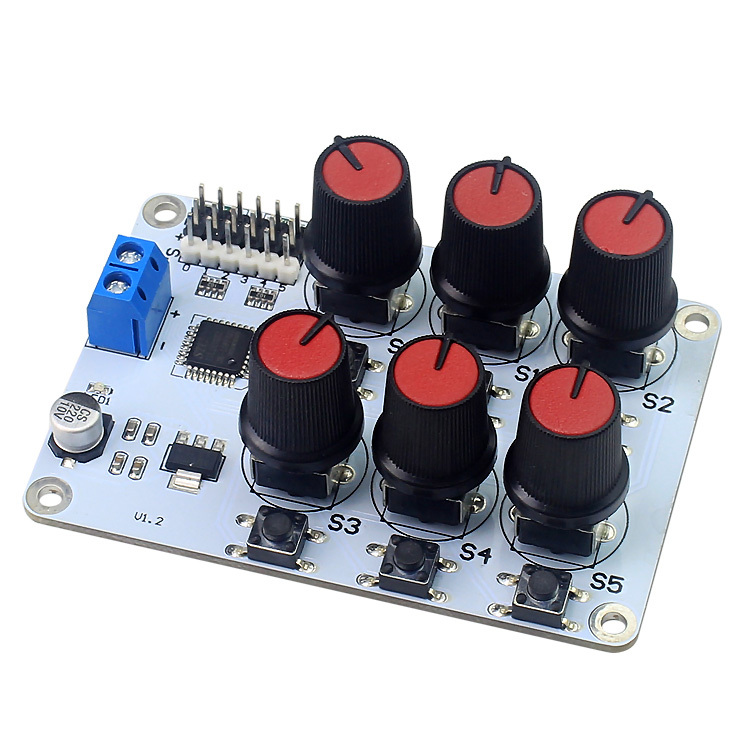 Each knob with an button, press it, servo turn to center place, and knob could not control servo rotation, press it again, release the locking status. +: Connect 5 ~ 8.4V power supply. -: Connect the power supply negative.